The Lakeview Room is a large, luxurious room complete with a sitting area, full ensuite, and a balcony overlooking the gardens and beach. 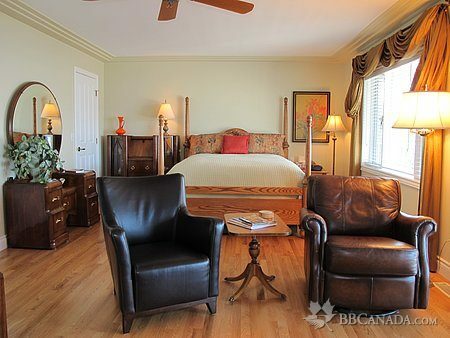 The Spruceview Room is a comfortable, cosy suite, featuring a queen size bed, ensuite bathroom & sitting room. 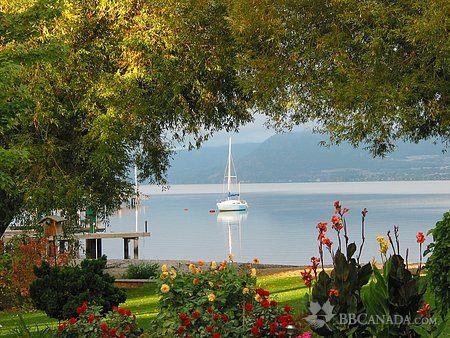 Located just 6kms from downtown Kelowna on the shore of beautiful Okanagan Lake. 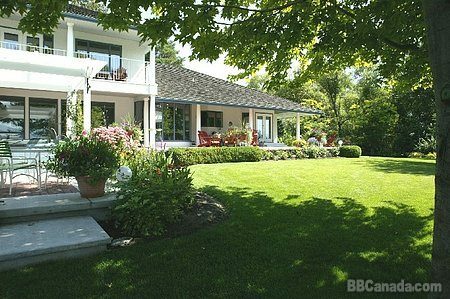 Easy access to wineries, restaurants, and golf courses. We are pleased to provide a delicious, full breakfast featuring fresh Okanagan seasonal fruits, served in our diningroom. 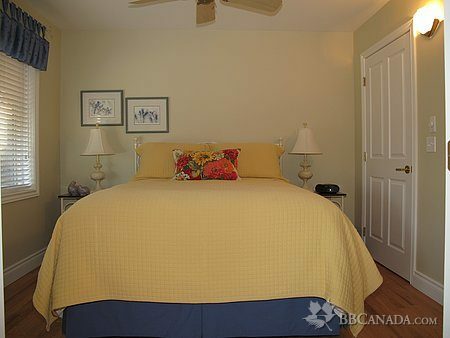 Amenities include a large deck area overlooking the beautiful gardens and beach setting. Canoe & Kayaks are available for guests use at their liability. Cancellation : Full refund less $25 for cancellations with 7 days notice. 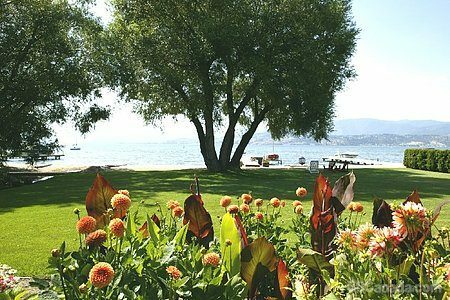 Seasonal Information : Open year round which includes the Okanagan's Spring Wine Festival in May and the Okanagan's Fall Wine Festival in October.